Charlotte Tilbury is one of my absolute favourite makeup brands. 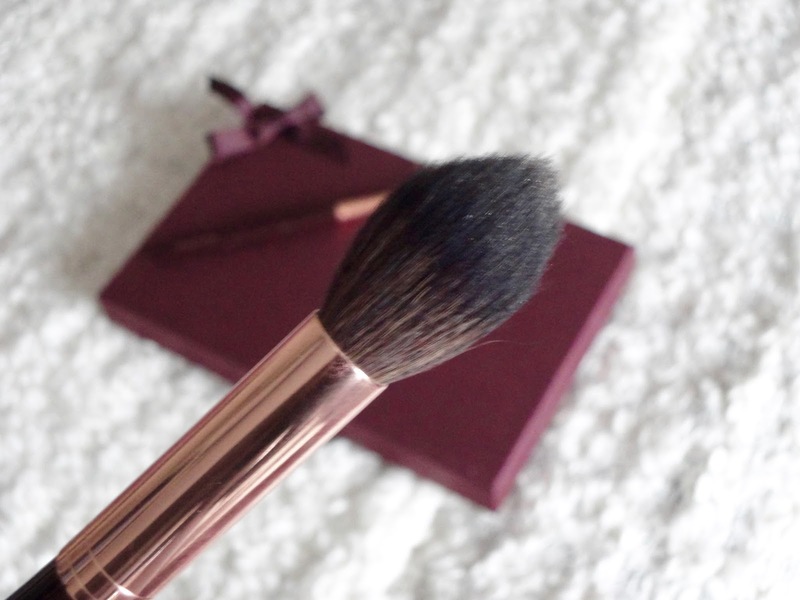 The luxury rose gold packaging, and the amazing quality of every single product of hers I've tried makes it top of my list for go-to luxury makeup. Clearly, I'd banged on about her so much that my lovely boyfriend bought me two of her brushes for Valentine's Day. I've never tried her brushes before so I was so excited to give them a go! I got the Powder & Sculpt brush and the Eye Blender brush. 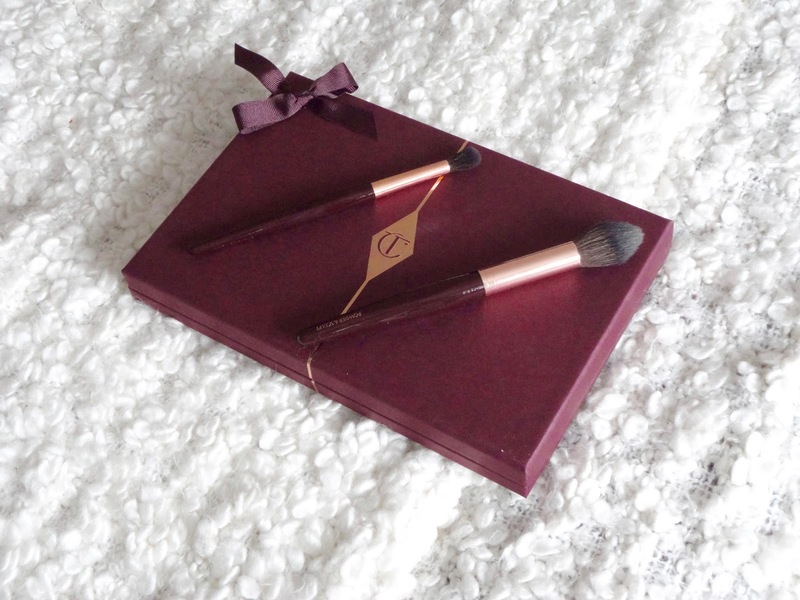 I was quite surprised that she only has 8 brushes in her collection, but they are quite a luxury, expensive item so it's still a whopping £240 for the full set! 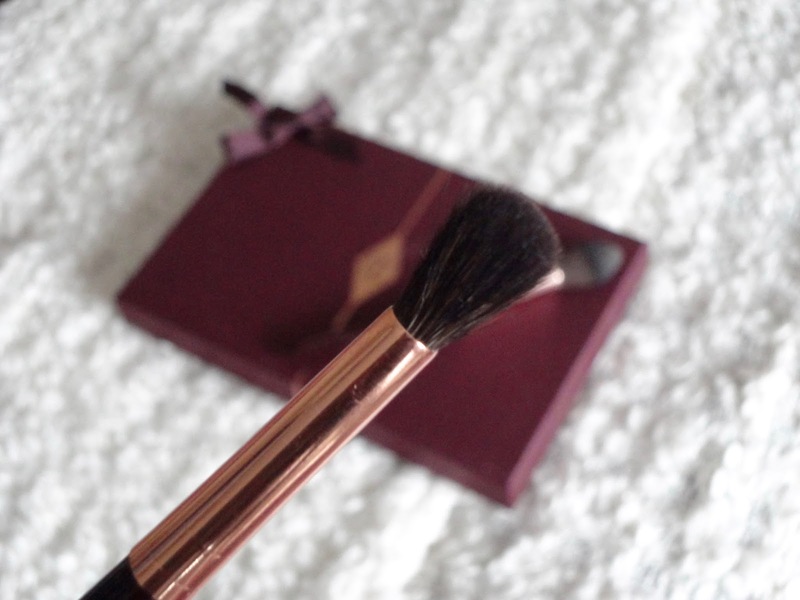 The Powder and Sculpt brush certainly did the rounds of beauty blogs when it was first released. Paired with the Filmstar Bronze & Glow, it is supposed to give you the perfect contour, thanks to the tapered brush, which blends out as you apply. However, I've been using this for highlighter - it's the perfect small shape to apply highlight to the tops of your cheekbones and the tapered shape means it blends it out really nicely, leaving no harsh lines. Obviously the packaging it absolutely gorgeous, and the brush handle is slightly ridged, meaning it is more comfortable to hold, and won't roll off your dressing table when you put it down! The bristles are extremely soft and blend out product really well. Secondly, I got the Eye Blender Brush. I wasn't expecting to love this brush as much as I do, but I've got so much use out of it already, I know it is fast becoming an essential. Again, the bristles are extremely soft and - as the name suggests - it blends out colour really well. It's perfect for transition colours in the crease, or blending out your whole eye look.